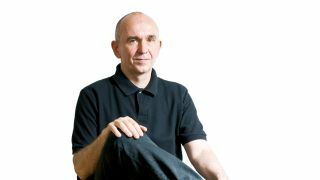 Gaming magnate Peter Molyneux, never one to shy away from voicing his opinion on the industry's going-ons, has said that the Xbox One has been wrongly treated by the public. Speaking to TechRadar, Molyneux said that the backlash on Microsoft has been unfair, with the company dealt a far bigger blow than it deserved. "It's quite an unfair thought that Microsoft are trying to control our gaming, they're trying to force us to be online all the time," he said. "[People] didn't really think that through." Molyneux went on to explain that he believes Microsoft had a bold vision that people should have been prepared to see play out, rather than attacking the console's online dependence from the minute it broke cover. "I know Microsoft, I know they were only doing things because they thought they were long-reaching and long-thinking. But the world we live in now is that we have to realise, especially if you're a big corporation, if you make one step wrong, the world will leap on you, and unfairly, very unfairly, they will judge you." "Like everything else in our world, when something turns slightly bad it goes very bad and you have to make big correctional steps to get yourself back on track." And despite Microsoft reversing its online and DRM policies, now set to put out a console that's pretty much on par with the PS4, knives are still out - something that Molyneux also thinks is unjust. "Microsoft did the reversal and we should have all turned round and said 'fantastic, you've really listened to what we're said'. But you have to over-correct to get back on line." Molyneux believes the future of gaming is online, as long as developers can create the right experiences. "Whether as consumers we like it or not, just like every form of technology interaction, there's an inevitability of online. We know that online is so much a part of our existence now that we're going to be in a world very soon where we have to be online all the time. "A mobile device is more and more non functional without a connection to the internet, and why should that be any different for consoles?" However, he added that just being online "is not good enough" for gamers. "You've got to give consumers the real benefit of why being online is a great thing for them. Why it's great for gaming, why it's great for their pockets and why it's great for the experiences they're having. "If you have an online experience where millions of people interact together, something unique happens," he said. "And we don't use that enough in gaming."